DOWNLOAD <Yes sadly it's named "REDO" Click pic to enlarge. Found in Everyday and Athletics. Base game mesh. Everyday only. 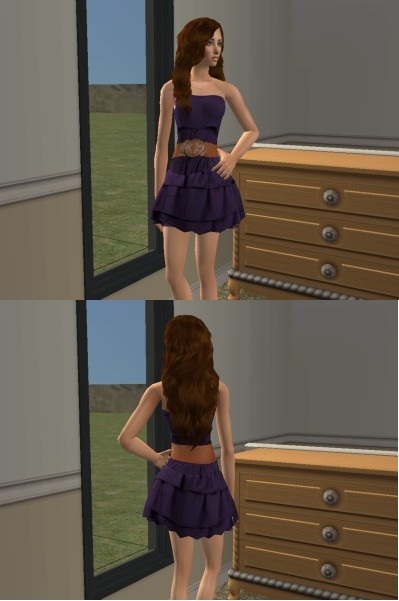 Lianasims 2 recolor. Found in everyday only. 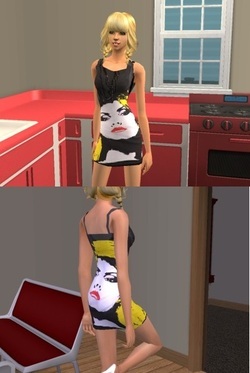 All it is-a maxis shirt recolor. Click iMG for larger pic. This also was based off of one of my drawings. Hey everyone!! I'm back with a new outfit!!! It's more of a nite at the club outfit but with moccasins!! 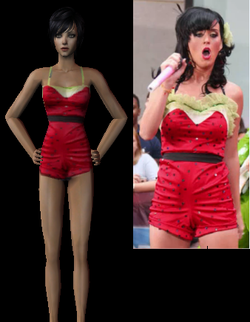 First I drew this outfit and tried to re-create it on sims. Not working? Go contact me. This is for tonad31's legacy family. It is a business and she wanted an outfit with an apron. Her business is a toy/flower/pottery shop! I hope you enjoy!! I think this dress is cute but different. Hope you enjoy!! Comes in Brown, Orange, and White. Comes in yellow, pink, purple, and blue pastel colors. Edited base mesh by me. Based off Cassandra's dress in version 2.